The following is an extended excerpt from an op-ed penned by BSI's Dr. Jeff Wells in the Hill Times. It can be read in full here. Billions of birds are right now flying south from Canada’s Boreal forest to wintering grounds from the U.S. to South America. While this incredible flow of life washes across our continent, news continues to spread of how climate change imperils birds and indeed all life on Earth. It can make the most stout-hearted feel hopeless. 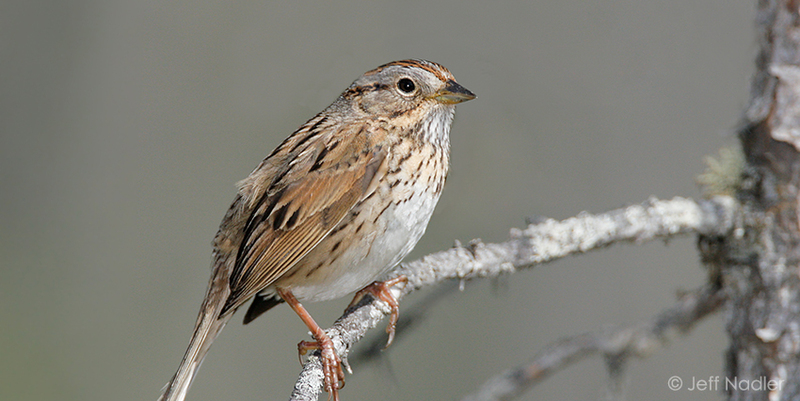 But a report released recently by the Boreal Songbird Initiative offers new hope. Research confirms that large areas of the Boreal forest region will remain relatively stable in the face of climate change. Protecting these areas will ensure birds—and caribou, moose and countless other species—can survive the changes underway. This is hopeful news not just for wildlife, but for Canada as well. Canada pledged to protect at least 17 per cent of lands by 2020 as part of its commitment to the Convention on Biological Diversity, part of the global effort to combat mounting species declines and extinctions. To achieve this goal, the federal government stepped up earlier this year with a $1.3-billion investment for nature conservation. New assessments of where birds and other animals will continue to thrive can help guide Canada as it accelerates toward this international conservation goal. The report, “Boreal Forest Refuge: Conserving North America’s Bird Nursery in the Face of Climate Change,” used climate change scenarios to map where birds will be in coming decades. The bad news is that at least half of the Boreal forest birds are projected to have ranges shrink significantly over the next century. And all will be forced to shift where they nest to stay within the climate conditions they need. The large, fairly stable areas of Boreal forest, identified as “climate refugia,” will help many species withstand these changes. 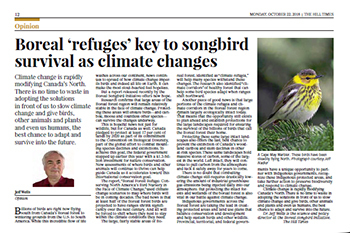 The research also identified “climate corridors” of healthy forest that can help some bird species adapt when ranges shift northward.